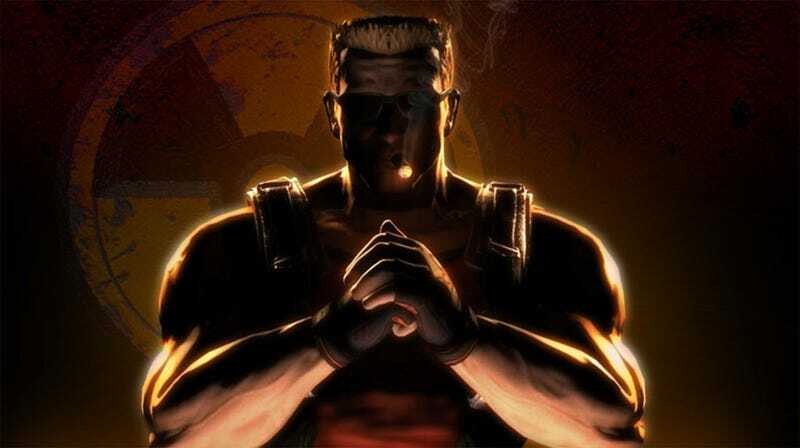 Duke Nukem Forever was, I thought, an absolute disaster. I was not alone in this. Yet Gearbox co-founder Brian Martel thinks the game's poor reviews weren't a consequence of the game being terrible. They were because reviewers were somehow unfair to the game. "There were [review scores] towards the high and things towards the low, but the middle just didn't get any traction. It's pretty obvious that people were using it in some ways to kind of use it as a soapbox or whatever," he told Eurogamer in an interview, originally held at GamesCom in August but only now being published. When he was asked if that meant the game was reviewed unfairly, he replied, "I think that if we were going to review the reviews fairly, no." "We've had this internal debate," he added later. "Would Half-Life today be reviewed as highly as it is, you know, even today? As a new IP coming out with the same sort of mechanics Half-Life had." Sometimes, even if you feel like the whole world is against you, you just have to take it on the chin and let it go. Before you start sounding a little crazy. This is one of those times.